Upon learning I played tournament Chess in the late 1970’s the father of a new girlfriend mentioned a book he had read, Biorhythm: A Personal Science, by Bernard Gittelson, going on to say Bobby Fischer had been profiled during the match with Boris Spassky. Naturally this peaked my interest. I read the book, learning the importance of critical days. For example, the Japanese did not allow any professional driver to work on a double critical day, or allow any to pilot fly on those days and it cut the number of accidents tremendously. Over the course of my life while in a relationship with a woman I have charted their moods by jotting down simple notes such as, “bitchy day,” or “good mood day.” Hold off on those nasty comments and emails, please, as I have done the same for me. In addition I have focused on not only my individual day but on different periods in an attempt to understand biorhythms and whether of not they have anything to do with my state of being. 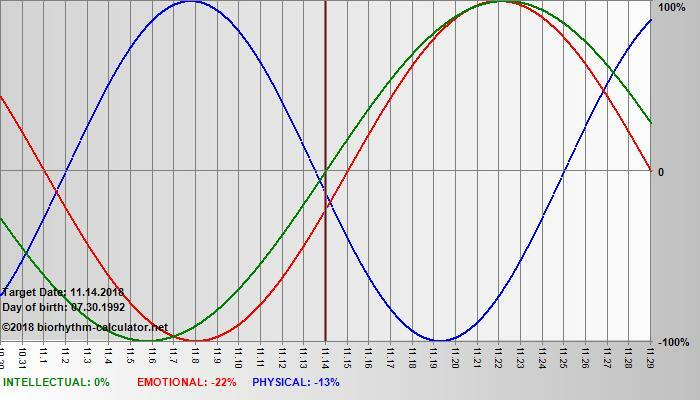 I have come to the conclusion there is something to biorhythms, especially physically. A critical day is when one is changing from one phase to another. One can go from a low to a high phase, or the reverse. It has been my experience that it is much worse to go from a high phase to a low phase, and it becomes increasingly pronounced as one ages. It has been extremely difficult to understand the other two phases, emotional and intellectual. 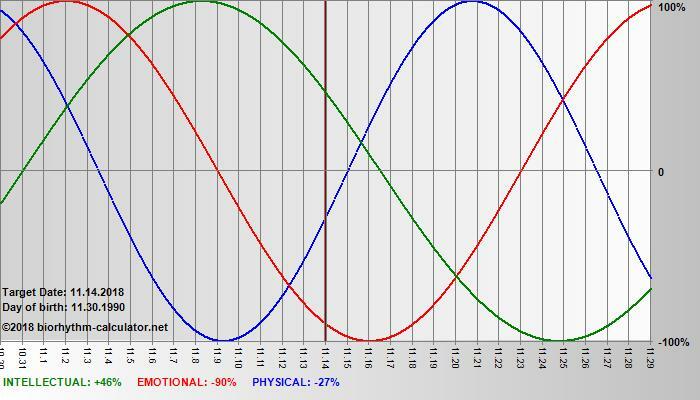 I can, though, say with authority that several woman in my life have sent me to the biorhythm chart when having a…how to describe it…let us say an “overly emotional” type of day. It has also been my experience over the last four decades that it is better to be in an emotionally low phase than a high phase. Being in a high phase is akin to being what is commonly known as “wound too tightly.” Beginning at birth everyone’s day of birth will be a critical day followed by either a peak or floor day. For example, I was born on a Monday, so every other Monday is an emotional critical day for me. Some years ago I put something on the USCF forum concerning a World Championship match and biorhythms. The nattering nabobs ripped me a new one. I recall “pseudo-science” and “akin to astrology” among other remarks. For this reason I ask the reader to be open-minded and kind when commenting or sending an email. The lack of compatibility between the two players in the three main facets is striking. I left the latter part in for illustration purposes only because of the 100% match in intuition. Ordinarily I only look at the ‘Big 3’ but the total match had to be shown even though I have no idea what it means. When I learned about biorhythms there were only the top three. The physical match up shows Carlsen playing most of the match in a physical high phase, while it is the opposite for Caruana. This could be a major factor, especially in light of the fact Fabiano has played so much Chess leading up to the match. Magnus has demonstrated throughout his career just how much endurance and stamina he possesses. No current player can match Carlsen in this regard. It would be wonderful to step into an alternate universe where the physical cycles are reversed, would it not? If FIDE president I would strongly advocate a sixteen game match. With only a twelve game match I would advocate a tie match at the end of regulation would require another match one year later. If that match was also tied after regulation, then the champion would remain the champion. The challenger would have had two chances to beat the champ. 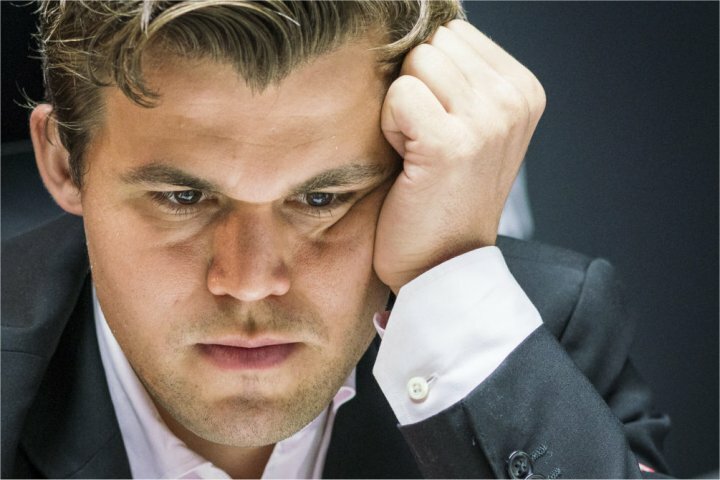 To obtain another chance the challenger would have to again win the candidates tournament. The World Champ will begin the match intellectually high before declining into a low phase the second half of the match. The challenger will begin the match low intellectually, but spend the majority of the match in a high phase. Magnus will play most of the match in an emotionally low phase while Fabiano will only be in an emotional low period at the beginning of the match with the latter two-thirds being in a high phase. Simply put, the two contestants biorhythms could not be more disparate. The chart of the World Champion looks much “smoother” in contrast. I did this comparison in an attempt to make a prediction according to biorhythm theory. After studying the charts I am unable to do so as the disparity is simply too great. How much of a factor will it be that Magnus will be physically high during the latter part of the match? How much will it matter that Fabi will be high intellectually? In a longer match of even sixteen games, the number many time World Chess Champion Mikhail Botvinnik said was needed to determine a winner, the physical factor would play a larger part, but this is a shorter match. They are both young so the physical aspect may not mean as much as the intellectual, but how does one quantify the intellectual biorhythm? As I have grown older the physical factor is much easier to quantify, for example. Some physical critical days, especially transferring from high to low, are pronounced in a way that can be felt and understood. It may take a huge amount of information to demonstrate the kind of impact an intellectual critical day produces. I just do not know…One thing I do know, though, is that this will be an extremely interesting match, biorhythmically speaking. If my life were on the line I would have to go with the current Champion because of the tiebreak issue. If the match is even then Magnus will be a heavy favorite. Hypothetically speaking, if there were no tiebreak and my life depended on only the biorhythms of the players, again I would be forced to go with Magnus because of the critical period between games three and six for the challenger and his physical high phase toward the end of the match. That was from the logical ‘Spock’ part of my brain. 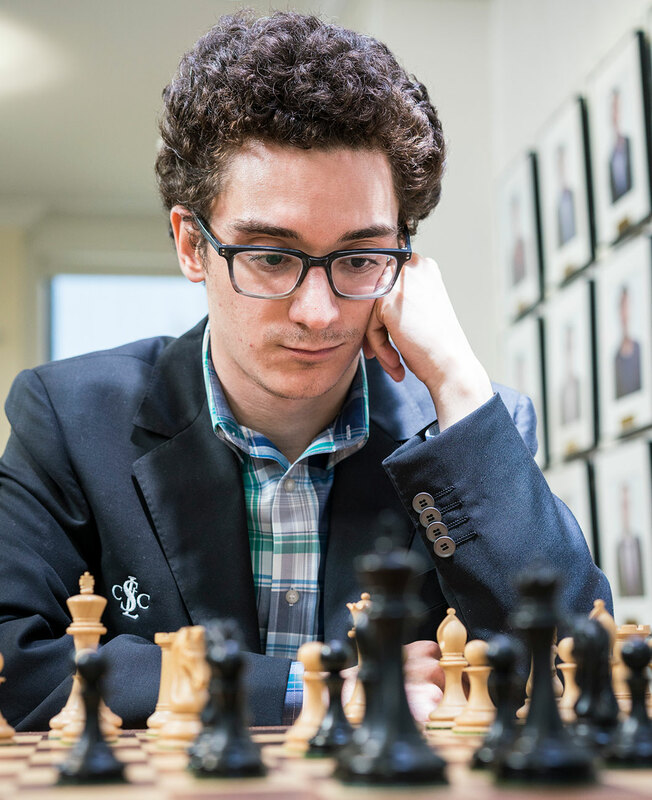 The ‘Captain Kirk’ emotional part from my heart will be hanging on every move Fabiano Caruana makes during the course of the match. I would also like to mention I plan on spending much time watching, and listening, to the best Chess internet broadcasting trio, Yasser Seirwan, Maurice Ashley, and Jennifer Shahade, which can be found here (https://www.uschesschamps.com/2018-today-in-chess/world-chess-championship). This entry was tagged Bernard Gittelson, bobby fischer, Boris Spassky, Fabiano Caruana, FIDE, Jennifer Shahade, magnus carlsen, Maurice Ashley, Mikhail Botvinnik, USCF, Yasser Seirwan.